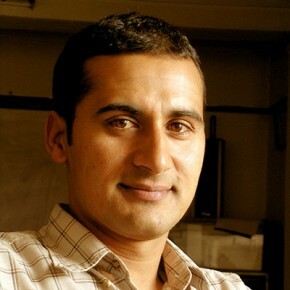 Bashudev is from Nepal, where he earned Bachelors and Masters degrees in mass communication and journalism from Tribhuvan University in Kathmandu. As a prize-winning television news and documentary producer, writer and reporter, he has addressed issues such as child marriage, viral influenza, rural poverty and the environment. In a society in which rural people – 80% of the population – still walk three hours to see a TV program, he is using broadcast media to eliminate the vast gap between the information society and developing society, mixing folk media with mass media. Bashudev works to broadcast the voice of marginalized people in the battle of ideas for natural resources and participation of the rural population in planning their future. His biggest success to date is evidenced by 12,000 members of forest-user groups who are now actively contributing to rural women’s empowerment while preserving the biodiversity of the country. Bashudev says he is on the way to “being the voice of the voiceless in my society”. He sees television as the “residual factor of national development.” Currently he is doing another Masters degree in Digital Film making at the Academy of Art University in San Francisco, USA. Additionally, he is seeking internship opportunities with documentary production houses.